The Wine and Spirits Show, run by the drinks business and sister title The Spirits Business, has announced some new additions to the New Product Zone at its event in October, including a Shiraz gin and a birch sap spirit. Launched by the team that brought you The City Wine Show, the Wine Show Chelsea and Spirited London, The Wine & Spirits Show will bring together the best wine and spirits under one roof. The event will be open to both the trade and consumers and will take place over two days from 12 to 13 October in the heart of London at One Whitehall Place, part of five-star hotel the Royal Horseguards. Targeting wine enthusiasts based in London, around 2,000 members of the general public are expected to attend, alongside members of the wine and spirits trade. The Wine & Spirits Show will offer one hall dedicated to wines, and another that will be focused entirely on spirits. Both halls will feature a dedicated New Products Zone for both wines and spirits, which will showcase the hottest wines and spirits launched within the last 12 months, keeping guests up to speed on emerging trends and releases. Consumers will be asked to vote for their favourite new wine or spirits, with the winning brand set to receive a profile page in the magazine. 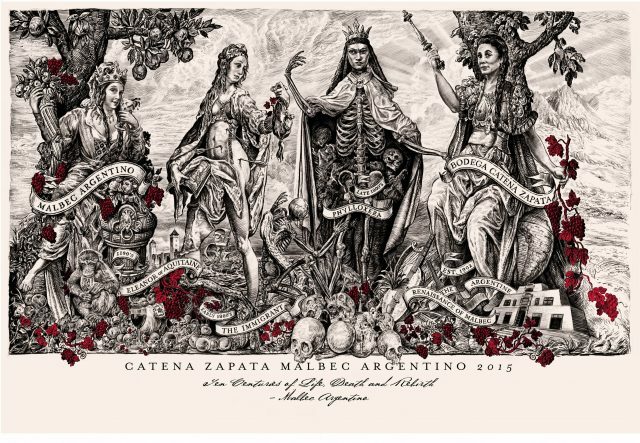 Joining the list of products already announced will be Catena Zapata’s Malbec Argentino 2015, featuring a bespoke label inspired by the history of Argentina’s flagship grape variety and told through four symbolic women. Unlike the 2013 vintage which was made from grapes sourced from the Adrianna and Nicasia vineyards, Catena has trialled new combination for the 2015 vintage. Instead, the grapes for the 2015 vintage now hail from the Nicasia vineyard and Angélica vineyard. Named after Nicolas Catena’s grandmother and mother respectively, the two vineyards are both situated at over 3,000 feet above sea level. The vines in the Nicasia vineyard are 20 years old and are a mixture of Malbec, Cabernet Sauvignon, Cabernet Franc, Chardonnay and Syrah, although only Malbec is used for this wine. Meanwhile, in the Angélica vineyard, the vines are 90 years old and planted with pre-phyloxeric rootstock. Next up are two products from suppliers Indie Brands – a mezcal and a birch sap spirit. The mezcal hails from the San Baltazar Guelavila region in Oaxaca and combines Espadin and Cirial agave. Called Mezcal Union Uno, the mezcal union is made up of over 50 families and 20 Palenques (farms) within 8 villages. Freya Birch Spirit, developed by Pure Wild Spirits, is distilled from the sap of the birch tree according to northern European tradition. The sap is harvested during a three-week winter thaw winter and transported to the UK in frozen form where it is distilled. Aussie gin brand Four Pillars will be pouring its Bloody Shiraz Gin, first launched back in 2015. Combining the distiller’s original gin and Australian Shiraz grapes, the product is one of the precursors for the recent trend for hybrid drinks. Since 2015, it has gone from strength to strength, with the latest vintage (2018) launched in June. 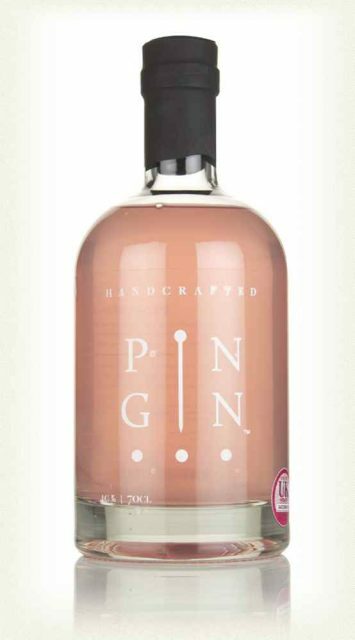 Finally, Lincolnshire distiller Bottomley is bringing its pink, strawberry-infused Pin Gin to the show. The gin combines fresh strawberries with the original Pin Gin recipe, which includes black pepper, cucumber, rose, lavender, liquorice, cinnamon, almond and citrus. The Spirits Hall will feature everything from gin and whisky to Tequila, rum and Mezcal. This hall will also host The Spirits Masters Zone, which will be manned by The Spirits Business team and showcase the Spirits Masters competition medallists. A Global Beer Tour zone will also offer guests the chance to sample a wide range of brews to have been judged by db‘s expert panel as part of the Global Beer Competition, which took place in August. As well as hundreds on wines and spirits available to sample, the event will also offer a series of expert masterclasses, on both wines and spirits, giving guests the chance to get under the skin of Champagne with Pol Roger or delve deeper into the world of fine wine with iDealwine. A full schedule of masterclasses, which will be offered FREE on a first come first served basis, will be announced in due course. For producers and suppliers wishing to take part in the event, please email Chloé Beral on Chloe.Beral@unionpress.co.uk. For more information and for tickets, please click here.